Internationalisation of Chinese currency Renminbi(RMB), Chinese economics reforms. What is Depreciation & Appreciation ? Depreciation and appreciation these are controlled by demand & supply. It is not in the hand of any government or Central bank but in case of devaluation and revaluation these terms are always in the hand of government or Central bank of country. It is automatic process. Recently Chinese government devaluated currencies by 3% to bring economics reforms in Chinese currency and it’s result came as capital flight means large scale outflow of financial assets and capital from China. So, capital outflow is an impact on capital account of an economy. 2nd point ongoing trade war with US because of it export and import affected. Export and Import come under the current account. Widespread use of a currency outside the border of it’s country of issue. Eg. Chinese currency Renminbi used inside of china. If it is used outside of China that is internationalisation of currency like dollar is used inside US and outside also it is depend on demand of that currency. In case of India the demand of rupees outside India is less thats why Indian rupee depreciated high. So demand decreases highly and internationalisation of currency not possible. 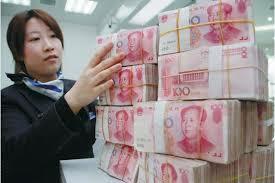 China’s plans to make RMB as internationalised currency. 1)Banking Sector-: China’s asset management association has allowed fidelity international to launch a fund in the country for international investors. Under this union bank of Switzerland got license. So investors will come & inflow of economy. 2)Bond market-: opening up bond market approximately $ 9.4 trillion for 3 years. Trading activity can be progressively shifted from $ to Yuan and this can be further accelerated as result of US sanctions against the Iran export of oil. China is large importer of Iran oil. So china can use Yuan in this way. 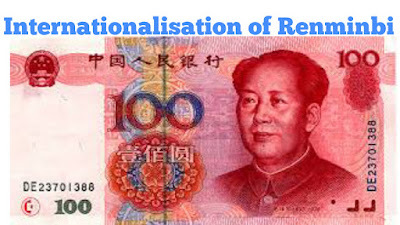 Internationalisation of Renminbi expands when banking sector opened for investors and bond market opened to investors and also through Shanghai international energy exchange. After reading this we hope you understand about China brought Why economics reforms of China made.